Views! Views! Views! 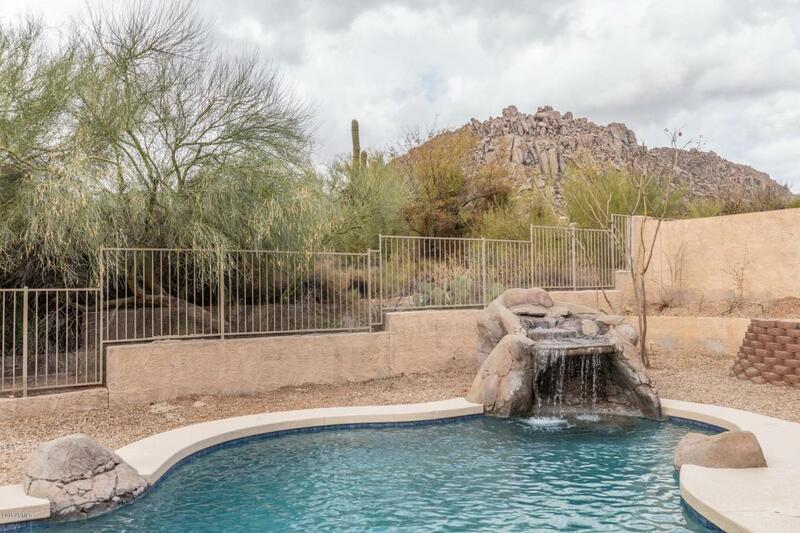 Stunning remodeled move-in ready Scottsdale home surrounded by gorgeous mountain views! Amazing lot at the end of the cul de sac in highly sought Troon Community. Beautiful interior offers a neutral color palette, wood looking tile floor, and picture windows with sweeping views throughout the entire home! Upgraded kitchen is a chef's delight with brand new state of the art stainless steel appliances, granite counters, farmhouse kitchen sink, center island, and a plethora of custom cabinets. Handsome stacked stone fireplace in the family room adds to the ageless elegance of this home. Spacious master suite has a sitting area with breathtaking views, private exit, dual walk in closets, and spa like bath with garden tub and separate shower.